Designed in collaboration with leading Australian designer and decorator, Brendan Wong, the Vera Table Lamp by Heathfield & Co will add depth and texture to any interior space. This distinct light features a beautiful ceramic base cast into an angular, geometric form. The base is complemented by black satin and polished brass metalwork for a luxurious touch. 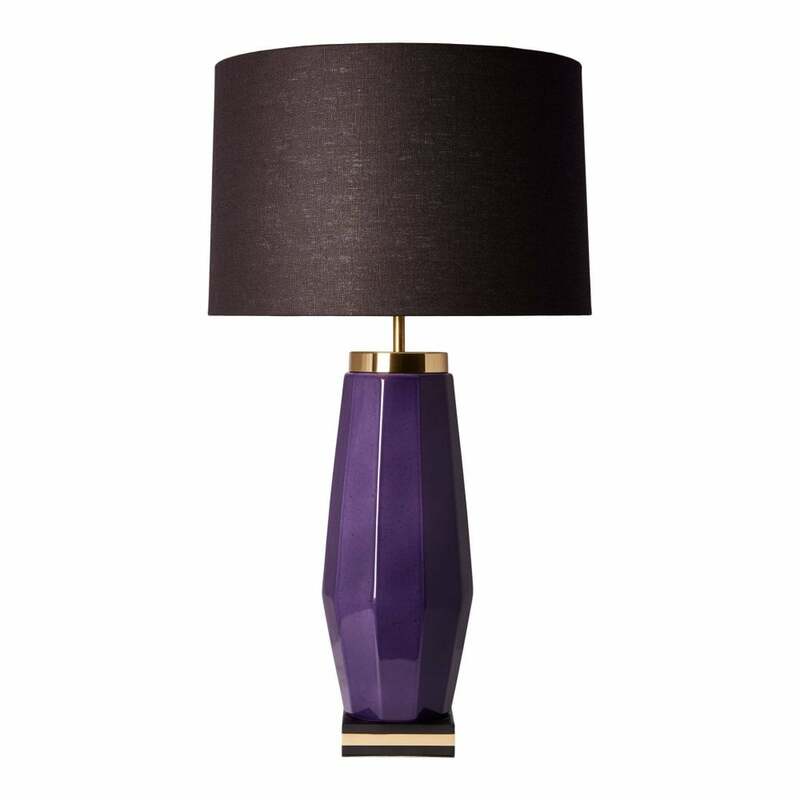 Available in two colour options, choose from a rich ‘Amethyst’ hue or muted and natural ‘Suede’. An elegant addition to your living space, place on a stylish hallway console table to impress guests. Priced for 16" Roman Drum shade with silk outer and white pvc lining. Other options available.